Press kit with left vertical pocket, industry specific inserts, demographic tables and maps. All materials include a press kit (featured), industry specific inserts, general brochure, map system for commercial, industrial and vicinity sectors, website, print advertising, and trade show booth. 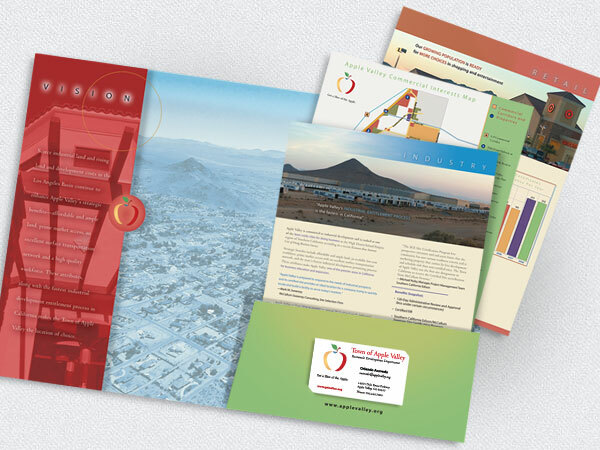 The press kit was developed to illustrate the vibrant business opportunities available in the midst of an ideal high desert location.